Cut out several images of bats. Tape these on top of the black paper (this will eventually create a resist-image when removed). Place the page along with paints in an appropriate area. When finished, show the child how to properly wash their hands. Talk with them about what you are doing during this process. Allow the page to dry. Remove the taped bats. Observe and record how the child reacts to the paint. Were they excited, intrigued, or hesitant? How did they react to handwashing? Be sure to take photos of the activity to put in the child’s portfolio. 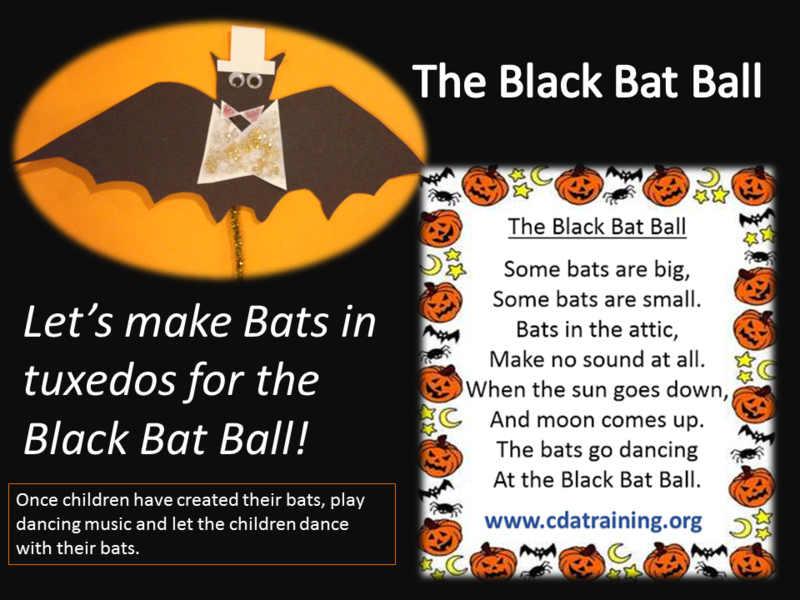 The Black Bat Ball: Let’s make Bats in tuxedos for the Black Bat Ball! Black construction paper, white construction paper, glitter, wiggly eyes, pipe cleaners, glue, and scissors. Pictures of people dancing at a Ball, with men in tuxedos. 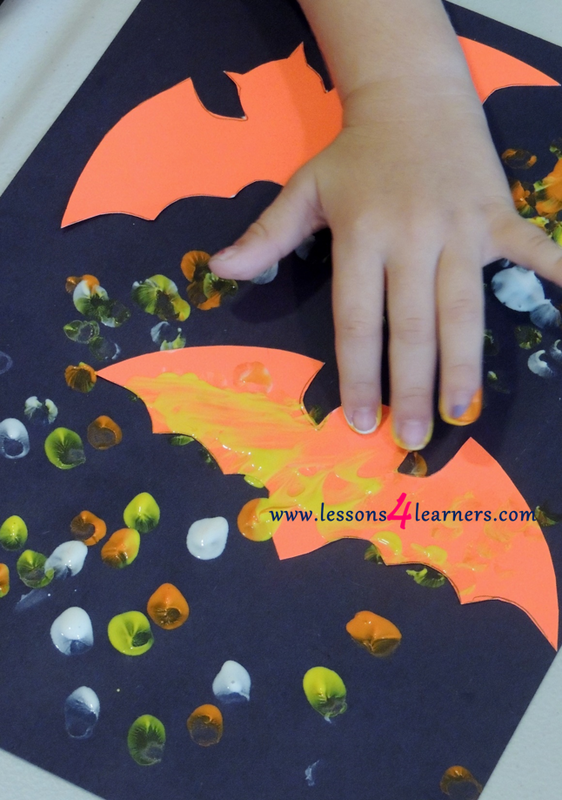 Once children have created their bats (Let dry) play dancing music and let the children dance with their bats. Take one piece of black construction paper and cut out a large bat. Using white construction paper make a white vest and a bow tie (two triangles will work for the vest, and two small triangles for the tie or use white tissue paper circle scrunched in the middle) and a white top hat (a small white rectangle that flairs at the bottom). Use the glitter to decorate the vest and bow tie. Glue on wiggly eyes, and tape on a pipe cleaner on the bottom of the bat.